Control Points are one of the new features introduced in The Division 2. Upon defeating the enemy forces at Control Points, you’ll be given the chance to raid the Supply Room, which just so happens to be filled with loot. Problem is, after that, you’ll need to resupply friendly Control Points with resources to keep them under your control. 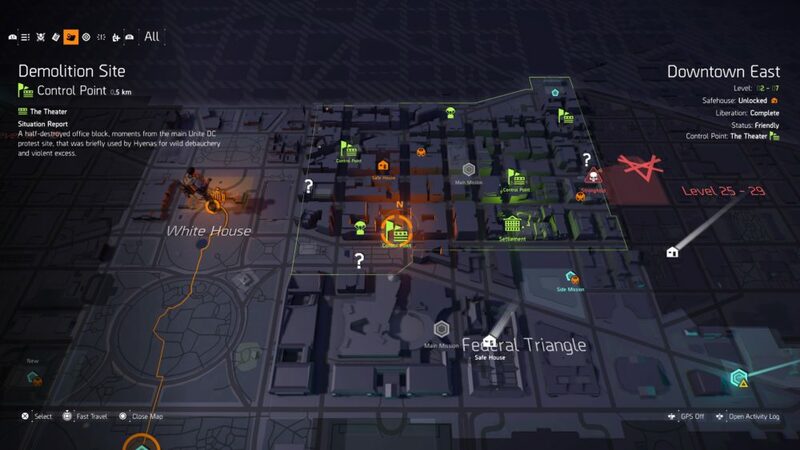 Control Points can easily be found in The Division 2 by checking out your map. This can be done by pressing the touchpad on PS4, or by pressing the View button on Xbox One. From here, you want to look out for either the red flag-looking icon for those controlled by enemies, or green flag-looking icons for friendly Control Points. You can see an example of a friendly Control Point and the icon you’re looking for just above this paragraph here. If you’ve not yet captured a Control Point and turned it friendly, let us run you through that process. Simply put, you’ll simply want to head to the red flag-looking icons on your map. The best way to quickly get to these is to fast travel to a Safe House or Settlement nearby, or set a waypoint and head there on foot. Once you have, it’s simply a case of pressing and holding Square on PS4 or X on Xbox One to call for reinforcements. AI-controlled allies will appear and begin a siege on the Control Point. You’ll need to clear out all enemies, and then defeat the enemy boss. After defeating the boss, you and your AI allies will then need to defend it from an enemy attack and defeat another boss. Upon standing your ground, the Supply Room will be unlocked, granting you access to that sweet, sweet loot. 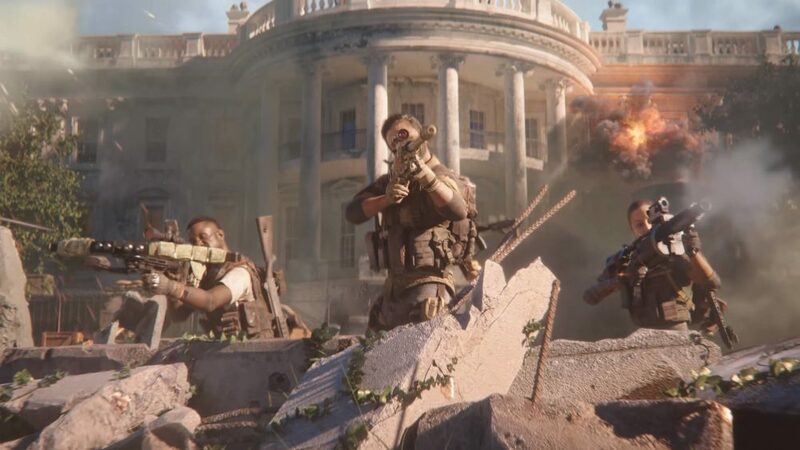 You’ll now have a friendly Control Point in Division 2. Now that you’ve got a friendly Control Point, you’ll be tasked with resupplying it. This comes particularly important in Division 2’s end game content, where the Black Tusk will reclaim Control Points if you don’t keep them suitably stocked with food, water, and crafting materials. 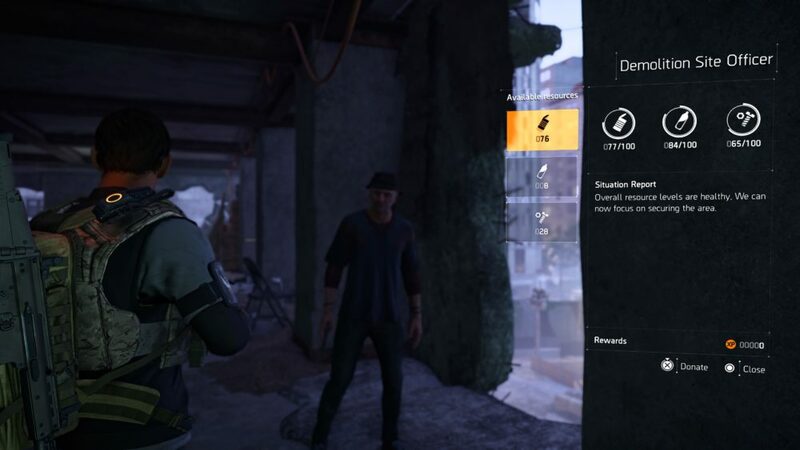 To resupply friendly Control Points in Division 2, you’ll need to look out for a particular NPC. 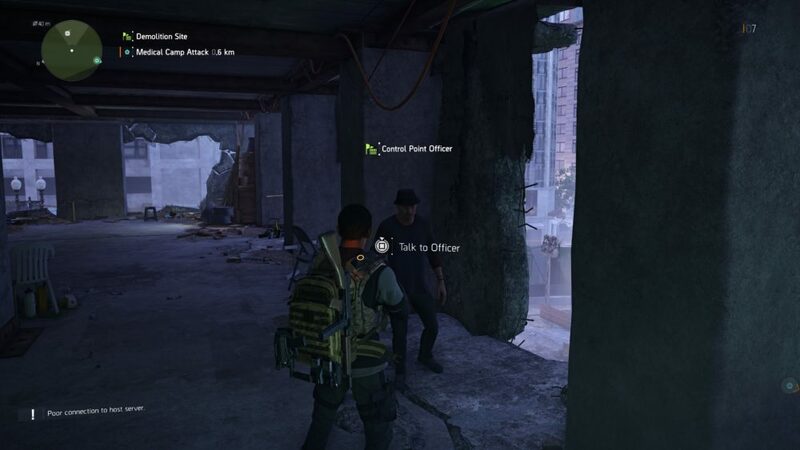 You want to look out for an NPC with ‘Control Point Officer’ above his head, as you can see in the image above. Approach them, and you’ll have the option to ‘Talk to Officer.’ Doing this will then enable you to resupply the friendly control point. You’ll then be brought to the above screen. You can donate any food, water or crafting materials by selecting it on the left menu and then pressing and holding X or A to begin transferring it across. That’s all you need to know to resupply friendly control points in Division 2. For more tips, tricks, and guides for your mission to save the capital, be sure to check out our ever-expanding Division 2 guide wiki.